Show Yourself some love! 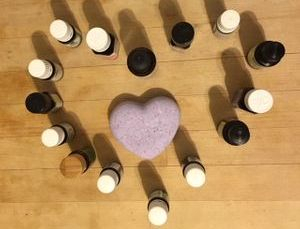 Make your own Bath Bombs (or shower fizzers)! Choose from a variety of pure essential oils and aromatic blends. Multiple molds available in a variety of shapes & sizes. PreRegistration Required. Just fill out the form or Call/Text Lisa! Cash or credit accepted at the door. Class fee includes everything you need to make a full set* of luxurious & personalized bath bombs/fizzies! All food grade ingredients + essential oils & all supplies. *Quantity of finished products will depend on the size/shape mold you choose. Pre-made bath bombs will be available to purchase as well. Did you miss the last class? Book a Party for you and your friends! Let's design a party appropriate for the ages, interests & budget of your group! Ages 8 and up. Can accommodate up to 8 guests.